Organized at Helena, Ark., and Pilot Knob, Mo., July, 1862. Attached to Helena, Ark., District Southwest Missouri, Dept. Missouri, to December, 1862. 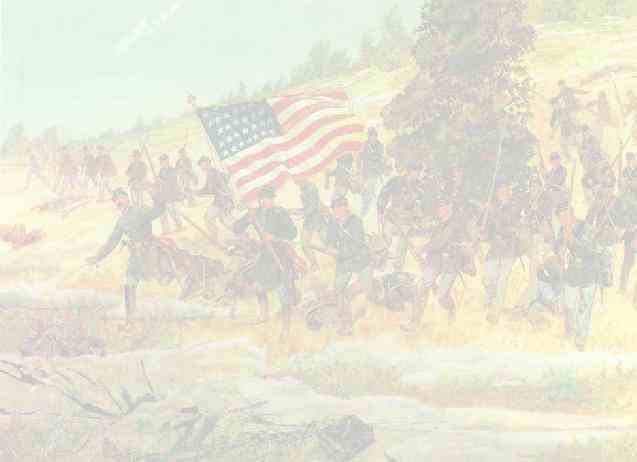 2nd Brigade, 3rd Cavalry Division, District Eastern Arkansas, to January, 1863. 2nd Brigade, 2nd Cavalry Division, 13th Army Corps, Dept. Tennessee, to April, 1863. 2nd Brigade, Cavalry Division, District of Eastern Arkansas, Dept. Tennessee, to May, 1863. District of Southwest Missouri, Dept. Missouri, to October, 1864. 3rd Brigade, Cavalry Division, Dept. Missouri, to January, 1865. Unattached Cavalry, District West Tennessee, to February, 1865. 1st Brigade, Cavalry Division, District West Tennessee, to August, 1865. SERVICE.--Duty at Helena, Ark., until April, 1863. At Fayetteville, Ark., until July, 1863, and at Cassville, Mo., until September, 1864. (Co. "B" at Benton Barracks, Mo., June, 1863. At Cape Girardeau, Mo., July, 1863. Scout from Cape Girardeau to the Ash Hills and Poplar Bluff, Mo., August 9-18. Skirmish, Ash Hills, August 13. Expedition from Cape Girardeau to Pocahontas, Ark., August 18-26. Skirmishes, Pocahontas, August 22-23.) Elm Springs July 30. Near Fayette August 23 (Detachment). Jenny Lind September 1. Crawford County November 25. Barronsville, Searcy County, December 26. Waldron December 29. King's River January 10, 1864. Operations against Guerrillas in Northwest Arkansas, in Newton, Searcy, Izzard and Carroll Counties, January 16-February 15. Lewisburg January 17. Clear Creek and Tomahawk January 22. Bailey's or Crooked Creek January 23 (Co. "C"). Crooked Creek February 5. Tomahaw Gap February 9. Expedition from Rolling Prairie to Batesville February 19-April 4. Scouts from Yellville to Buffalo River March 13-26. Oil Trough Bottom March 24 (Detachment). Near White River March 25. Constant scouting and skirmishing with Guerrillas. Scouts from Bellefonte March 29-April 1. Whiteley's Mills April 5. Piney Mountain April 6. Osage Branch King's River April 16 (Co. "A"). Limestone Valley April 17. King's River April 19. Near mouth of Richland Creek May 3 and 5. Scout in Northern Arkansas May 17-22 (Co. "M"). Scout from Cassville to Cross Hollows June 9-14 and June 20-24. Near Maysville July 20. Operations in Southwest Missouri and Northwest Arkansas August 15-24. Scout from Ozark, Mo., to Dubuque Crossing and Sugar Loaf Prairie August 23-26 (Detachment). Expedition from Cassville, Mo., to Fayetteville, Ark., August 23-28 (Detachment). Gerald Mountain and Mud Town August 24. Operations against Price August 29-December 2. Moreau Creek, Jefferson City, October 7, Russellville October 9. California October 9. Near Booneville October 11-12. Fort Smith, Ark., October 14 (Detachment). Dover October 20. Little Blue October 21. Independence, Big Blue and State Line October 22. Big Blue and Westport October 23. Little Osage, Mine Creek, Marias des Cygnes, October 25. Engagement on the Marmiton, or Battle of Charlot, October 25. Newtonia October 28. Upshaw's Farm October 29. Expedition from Springfield, Mo., to Fort Smith, Ark., November 5-16. Near Cincinnati, Ark., November 6. Scout from Springfield to Huntsville and Yellville November 11-21. Ordered to Memphis, Tenn., January, 1865. Duty there and in District of West Tennessee until August. Mustered out August 20, 1865.